Ask Gary: Did anyone predict this Lightning team? Have you been surprised with the resiliency the Lightning have shown in the Boston series and also the physical style of play they are putting out there? At times they have looked to be more physical than the big bad Bruins which I don’t think anyone predicted could happen. Also is the lack of production from the Stamkos line through the first 3 games more a function of the Bruins' top defensemen being that good or is that line just not getting it done? It would be easy for me to say that no, I haven't. I could act smug and superior and pretend I didn't have any doubts. Of course, everyone would know I was lying. Especially, you would know that. of us saw the next three games coming. It's as impressive of a turnaround as these Bolts have had. Hard to believe they lost some of the games they did down the stretch. Like you say, it isn't just that the Lightning got hot. They've been physical in al their games. They've played far better in front of Andrei Vasilevskiy than I would have imagined. They look like what they were trying to be when they traded for Ryan McDonagh. I'll tell you some other things the Lightning have done better. Their passing in the neutral zone has been sharper (not so much Friday night). They've been smarter. They've blocked more shots. It's been impressive. As far as the Stamkos line, I kept waiting for that line to break out before Game Four. They had had some opportunities. I'd say that half of their non-production was because of Boston, which has done a terrific job (especially against Kucherov) and half of it about the Bolts. 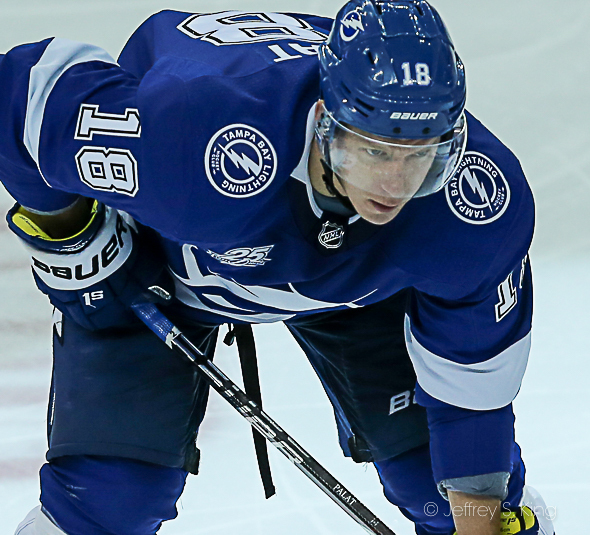 Stamkos had the empty \-netter in game three, but he hasn't been sharp until Friday. In his last 20 games, he has scored twice (once on that empty-netter). I think he's thinking pass first, which isn't why he's earning what he is. He's a shooter. Kucherov had a chance Wednesday night and was just wide. I think he may be pressing. But he was better Friday, too, even though he's hesitating too much. Of course, both scored in Game Six, which was nice to see. I just had to believe they're tooo good to be shooting blanks. I do know this: A guy cannot live by Palat alone. 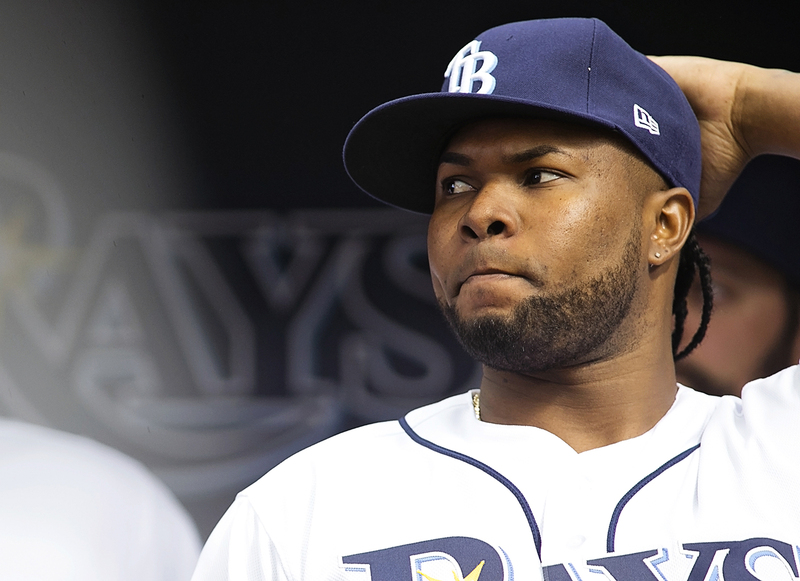 The Rays are one sixth of the way through the season and Alex Colome continues to sputter. Is he going to snap out of it? In most cases, I'd say he would. He can still throw hard. But relief pitchers are odd ducks. Sometimes, their careers end at the oddest of times and the oddest of situations. Remember Mark Wohlers? Rick Ankiel? Bobby Thigpen? Mitch Williams? John Rocker? Their careers ended as fast as someone flicking off a light switch. One day, they owned their ninth innings and the next, they were renting space. Lou Piniella used to scoff at the role of a closer. He thought three outs in the ninth were the same as three outs in the sixth. But there is something to be said for dealing with the added pressure. When a pitcher gets a full inning and a three-run lead, it doesn't seem that hard to close a door. With Colome, the five saves aren't the issue. The problem is the 6.00 ERA. When a guy has had the jump in salary that Colome has (from $547,900 to $5.3 million), it's even more of a concern. I wouldn't be surprised if the Rays are hoping Colome has a run of success so they can trade him. In short, I think that Colome will find some success the rest of the way. But maybe the Rays need to use Jose Alvarado a bit more, too, just in case. The late innings have been too much of a high-wire act lately. After reading Tom Jones' piece in the Times about Lightning players' wives giving birth on off-days, I thought I would check with you: When you were scribing and traveling the world, did any of your children enter the world causing major schedule disruptions? Or, if not their actual births, did any of their special occasions create the familiar dilemma -- making the kids happy vs. making the boss happy? Barry, the life of a sportswriter is a constant juggling act. And, yes, I've had friends who wondered if it impacted the upbringing of their children. I liked to work, if you can call it that. But as far as the schedule, the Times looked out for me. When my daughter Katherine was born, I was able to get off of a World Series game. When my daughter Tori came along, I missed a rare Bucs' road game (at Carolina). And I was glad to miss them. Some things are more important. A story. When Katherine's birth-mother (she's adopted) was due, I was at an FSU game in Tallahassee. John Romano said he was thinking about driving home anyway. So we drove overnight all the way home worrying that we were not going to get back in time. We even missed a stop at the Steak-and-Shake in Ocala. But I got home, and the next day, I went to the Bucs game. Again, no birth, or I would have left the game. On Monday, she finally came. I remember I was down to cover a Daytona 500 one day when my mother-in-law fell ill. I called and told the boss if she got worse, I'd turn around and come home. No, he said. You won't go. I fell ill once before a Rays-Orioles opener. He ordered me home. Oh, there were enough hard times. I put off vacation because Wade Boggs was getting close to 3,000 hits, for instance. Shaquem Griffin was drafted by the Seahawks, reunited with his brother - but he is set to prove he's not just a "feel-good story". Isn't he? Cecil, if there was one guy in the draft I was hoping the Bucs would pick, it's Griffin. Sure, he's a feel-good story of a man overcoming his limitations, but he's more than that. I think the guy can play. I honestly do. I think he'll show everyone in Seattle -- eventually -- that he's a good player. At every stage of his life, Griffin has had to prove that he's more than people thought. He was the best player that UCF had this season. I"m just surprised that UCF didn't give him the Heisman while it was claiming the national championship. I'd be surprised if Griffin doesn't end up being a very, very good player. Yes, I think he's a feel-good story, but I don't think he's just a feel-good story. I think he's a fine player. If you could be commissioner of each of the pro sports for one day, what changes would you make to make the sport better for the fans? Let's start with baseball. First of all, I'd kill the designated hitter. Most teams just use an ordinary player anyway, and what you lose in strategy (when to pinch-hit, when to double-switch) isn't worth what you gain, I guess it probably depends on what form of baseball you grew up with. In the NFL, I'd tweak the replay rule. Why aren't more calls subject to replay? And why do some games have fewer goal-line replay cameras that others? Oh, and I'd kill Thursday night football. The players hate it, the fans hate it. One more thing: I'd stop the clock after a first down, the way they do in college. I've thought about this: I'd add 10 yards to each end zone. Why should the defense get the advantage of squeezing an offense when its in the red zone? A wider end zone leads to move points. In hockey? I've talked to Phil Esposito about widening the goal before. Phil doesn't think that would be needed if there was a closer look on equipment. I stole this one, but I'd at least spend preseason looking at the game without an off-sides call. Nothing is more irritating than seeing a team score a great goal and have it negated because someone's skate was over the line too soon. This one is tough, because I love shootouts. But I hate when a game is decided when the teams go to a different game with different rules. It would be like deciding a baseball game by playing home-run derby. Again, it's thrilling, but it's not as good as the 3 x 3 that comes before it. Also there is this: I'd outlaw tongues. I can't believe the NHL front office hasn't put a stop to Brad Marchant's shenanigans. If we need a player to be kissed, we'll call Madonna, ok? In the NBA? I've said this for years: Why not try to start the season with a one-and-done tournament? It would kick-start the season, and it would be fun. Heck, if you had to, you could let the weaker teams play a consolation game. There have been a lot of people to try to address the one-and-done rule. I think it hurts college (players don't get enough experience) and the NBA (players aren't ready). What's wrong with making both sports better? I noticed on a few MLB broadcasts that Dustin Pedroia is in the dugout when Boston plays, home and away games, although he is on the DL for his knee. Got me to wondering why Kiermaier isn't in the Rays’ dugout (that I've seen), even for home games. I wouldn't think rehab for thumb surgery would keep him away - is it up to the team, the player, or what that determines if a DL player is in the dugout for games? Why isn’t KK with the Rays? Cecil, I don't know if Kiermaier makes the road trips or stays home to work out, but he's at the home games. Again, he might not make every one -- I don't chart and I usually don't study the dugout. But I do know that K.K. is at a lot of games. I looked it up, and Carmen Mandato has a picture of Kiermaier from April 22, a week after he was hurt. It's odd. Players will tell you that being injured is like turning invisible. You aren't really part of the team anymore. You just work and get out of the way. 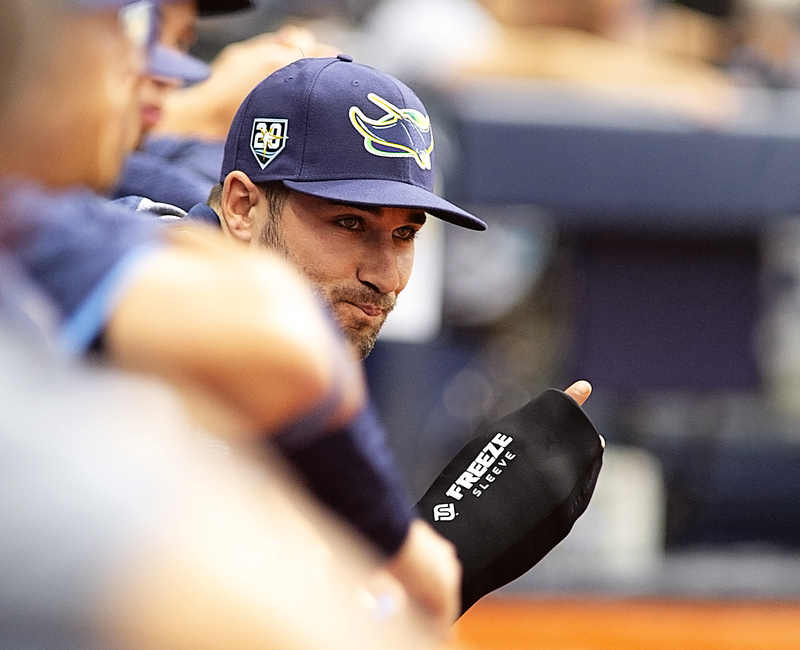 There aren't many players in the major leagues who care as much as Kiermaier. I'm pretty sure that he's there most nights. You’re drafting an NBA team from scratch. You can choose either Michael Jordan or LeBron James in their prime. Who do you select and why? I say this without hesitation: Michael Jordan. Blame my age, blame my failing eyesight if you want. I acknowledge a lot of observers feel differently. But I've never seen a basketball player beat you as many ways as Jordan. Jordan was the ultimate winner.I know, I know. He had Scottie Pippen, but what NBA player won it all on his own. (James has had a litany of excellent sidekicks). To me, it may be a generational argument. The younger guys want to be in the presence of greatness, so they argue James. I'm an old-schooler, so I agree Jordan. But the bottom line, to me: Jordan won six titles; LeBron has won three. I also give Jordan an edge at the time he played. There were so many good players then: Magic Johnson and Larry Bird, Reggie Miller and Gary Payton, Patrick Ewing and Charles Barkley, Clyde Drexler and John Stockton. To be acknowledged as better than all of them is a heck of a statement. Look, I don't deny that James is a great player. But in a banquet to celebrate the best players of all-time, Jordan is at the head of the table. Starters or not, which Bucs' draft pick do you think will help the team the most next season? Let's hope that several of them do. The team certainly needs it. Start with defensive tackle Vita Vea. Heck, when a guy goes in the top half of the first round, he ought to help the most. But Vea plays a position where the athletes rotate, so the team might stick with Beau Allen as the starter. But there will be plenty of downs for Vea to make his presence known. In the end, more people will notice Ronald Jones than anyone. He out to get 750 yards or more this year. Again, I know the team likes to talk up Peyton Barber, but Barber's skill set can't match Jones. In the secondary, I actually expect Carlton Davis to make a bigger impact than M.J. Stewart. Those would be my 1-2-3 this year. I think you'll have to wait a while for Alex Cappa and the rest.